We always fall for little notebook with unique cover and design. Yes, we already had a stack of notebooks at home, but it’s still hard to resist those charming little things. 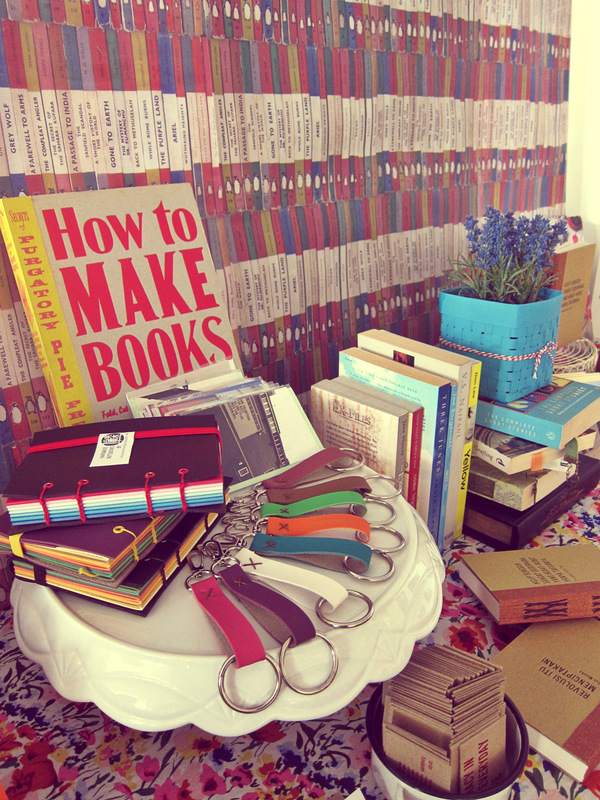 Imagine if you can make your own notebook with handmade bookbinding! Amesh from Dreamesh and the duo from Sewmanics, Lia & Chia has been crafting Workshop in A Box a few times with different themes and creative activities for each workshop. For the 9th Workshop in A Box, they collaborated with Tarlen from Vitarlenology for a bookbinding class at 1/15 Coffee House (psst, we’ll tell you a bit about this cool place later). Lots of papers, ribbons, book pages, blank card, pretty printables, and cute embellishments were included in the workshop kit. 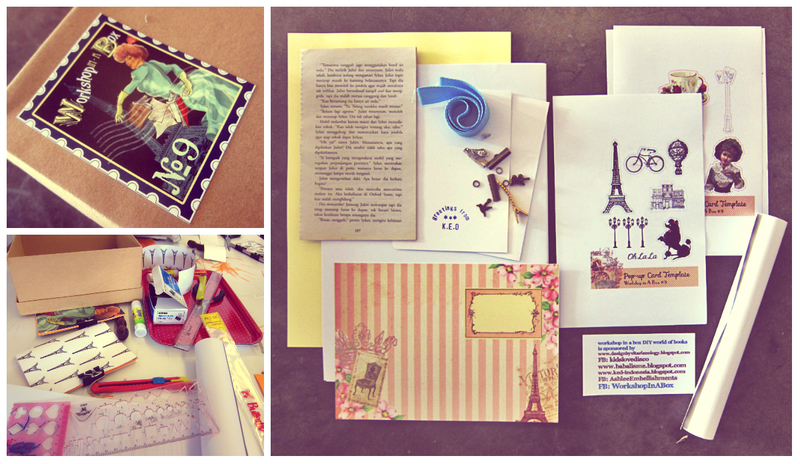 Every participant made hand-stitched notebook, fancy pop-up card, antique bookmark, and a clip-on bookpage flower. How fun is that?! There’s a playing area and storytelling corner too so the kids could wait for their moms while playing or reading some books. Some hand-stitched notebooks and keychains created by Mba Tarlen. Left to right: Mba Amesh, Mba Tarlen, Mba Lia & Mba Chia. Proud faces and their hand-stitched notebook! Thank you Amesh, Lia, Chia and Tarlen!